A mother writes in with concerns about her daughter. She recently “came out” as a lesbian, but this mom thinks it might be faux. 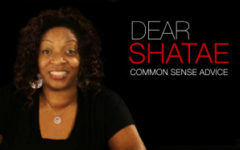 Dear Shatae has some advice and a way to find out if this daughter is for real. You have questions? Dear Shatae has answers. Send your questions to DearShatae@sugarbang.com.